We are launching a series of papers on evidence and policy in Palgrave Communications. Of course, we used Brexit as a hook, to tap into current attention to instability and major policy change. However, many of the issues we discuss are timeless and about surprising levels of stability and continuity in policy processes, despite periods of upheaval. In my day, academics would build their careers on being annoying, and sometimes usefully annoying. This would involve developing counterintuitive insights, identifying gaps in analysis, and challenging a ‘common wisdom’ in political studies. Although not exactly common wisdom, the idea of ‘post truth’ politics, a reduction in respect for ‘experts’, and a belief that Brexit is a policymaking game-changer, are great candidates for some annoyingly contrary analysis. In policy studies, many of us argue that things like elections, changes of government, and even constitutional changes are far less important than commonly portrayed. In media and social media accounts, we find hyperbole about the destabilising and changing impact of the latest events. In policy studies, we often stress stability and continuity. My favourite old example regards the debates from the 1970s about electoral reform. While some were arguing that first-past-the-post was a disastrous electoral system since it produces swings of government, instability, and incoherent policy change, Richardson and Jordan would point out surprisingly high levels of stability and continuity. In part, this is because the state is huge, policymakers can only pay attention to a tiny part of it, and therefore most of it is processed as a low level of government, out of the public spotlight. These insights still have profound relevance today, for two key reasons. This larger process provides far more opportunities for experts than we’d associate with ‘tip of the iceberg’ politics. Some issues are salient. They command the interest of elected politicians, and those politicians often have firm beliefs that limit the ‘impact’ of any evidence that does not support their beliefs. However, most issues are not salient. They command minimal interest, they are processed by other policymakers, and those policymakers are looking for information and advice from reliable experts. 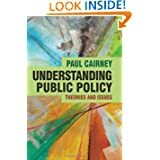 Indeed, a lot of policy studies highlight the privileged status of certain experts, at the expense of most members of the public (which is a useful corrective to the story, associated with Brexit, that the public is too emotionally driven, too sceptical of experts, and too much in charge of the future of constitutional change). So, Brexit will change the role of experts, but expect that change to relate to the venue in which they engage, and the networks of which they are a part, more than the practices of policymakers. Much policymaking is akin to an open door to government for people with useful information and a reputation for being reliable in their dealings with policymakers. If the problem is that policymakers can only pay attention to a tiny proportion of their responsibilities, the solution is not to bombard them with a huge amount of evidence. Instead, assume that they seek ways to ignore almost all information while still managing to make choices. The trick may be to provide just enough information to prompt demand for more, not oversupply evidence on the assumption that you have only one chance for influence. With Richard Kwiatkoswki, I draw on policy and psychology studies to help us understand how to supply evidence to anyone using ‘rational’ and ‘irrational’ ways to limit their attention, information processing, and thought before making decisions. Our working assumption is that policymakers need to gather information quickly and effectively, so they develop heuristics to allow them to make what they believe to be good choices. Their solutions often seem to be driven more by their emotions than a ‘rational’ analysis of the evidence, partly because we hold them to a standard that no human can reach. If so, and if they have high confidence in their heuristics, they will dismiss our criticism as biased and naïve. Under those circumstances, restating the need for ‘evidence-based policymaking’ is futile, and naively ‘speaking truth to power’ counterproductive. Instead of automatically bemoaning the irrationality of policymakers, let’s marvel at the heuristics they develop to make quick decisions despite uncertainty. Then, let’s think about how to respond pragmatically, to pursue the kinds of evidence informed policymaking that is realistic in a complex and constantly changing policymaking environment. The usual advice is to minimise the cognitive burden of your presentation, and use strategies tailored to the ways in which people pay attention to, and remember information. If policymakers are combining cognitive and emotive processes, combine facts with emotional appeals. If policymakers are making quick choices based on their values and simple moral judgements, tell simple stories with a hero and a clear moral. If policymakers are reflecting a ‘group emotion’, based on their membership of a coalition with firmly-held beliefs, frame new evidence to be consistent with the ‘lens’ through which actors in those coalitions understand the world. Understand what it means to find the right time to exploit ‘windows of opportunity’. ‘Timing’ can refer to the right time to influence an individual, which involves how open they are to, say, new arguments and evidence. Or, timing refers to a ‘window of opportunity’ when political conditions are aligned. I discuss the latter in a separate paper on effective ‘policy entrepreneurs’. 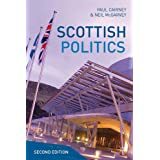 Politicians may appear confident of policy and with a grasp of facts and details, but are (a) often vulnerable and therefore defensive or closed to challenging information, and/ or (b) inadequate in organisational politics, or unable to change the rules of their organisations. So, develop pragmatic strategies: form relationships in networks, coalitions, or organisations first, then supply challenging information second. To challenge without establishing trust may be counterproductive. Recognise that the biases we ascribe to policymakers are present in ourselves and our own groups. Identifying only the biases in our competitors may help mask academic/ scientific examples of group-think, and it may be counterproductive to use euphemistic terms like ‘low information’ to describe actors whose views we do not respect. This is a particular problem for scholars if they assume that most people do not live up to their own imagined standards of high-information-led action (often described as a ‘deficit model’ of engagement). It may be more effective to recognise that: (a) people’s beliefs are honestly held, and policymakers believe that their role is to serve a cause greater than themselves. ; and, (b) a fundamental aspect of evolutionary psychology is that people need to get on with each other, so showing simple respect – or going further, to ‘mirror’ that person’s non-verbal signals – can be useful even if it looks facile. This leaves open the ethical question of how far we should go to identify our biases, accept the need to work with people whose ways of thinking we do not share, and how far we should go to secure their trust without lying about one’s beliefs. At the very least, we do not suggest these 5 strategies as a way to manipulate people for personal gain. They are better seen as ways to use psychology to communicate well. They are also likely to be as important to policy engagement regardless of Brexit. Venues may change quickly, but the ways in which people process information and make choices may not. Can you separate the facts from your beliefs when making policy? A key argument in policy studies is that it is impossible to separate facts and values when making policy. We often treat our beliefs as facts, or describe certain facts as objective, but perhaps only to simplify our lives or support a political strategy (a ‘self-evident’ fact is very handy for an argument). People make empirical claims infused with their values and often fail to realise just how their values or assumptions underpin their claims. This is not an easy argument to explain. One strategy is to use extreme examples to make the point. For example, Herbert Simon points to Hitler’s Mein Kampf as the ultimate example of value-based claims masquerading as facts. We can also draw on some embarrassing historic academic research which states that the evidence exists to show that men are more intelligent than women and some races are demonstrably superior to others. In such cases, we would point out, for example, that the design of the research helped produce such conclusions: our values underpin our assumptions about how to measure intelligence or other measures of superiority. ‘Wait a minute, though’ (you might say). “What about simple examples in which you can state facts with relative certainty – such as the statement ‘there are 449 words in this post’”. ‘Fair enough’, I’d say (you will have to speak with a philosopher to get a better debate about the meaning of your 449 words claim). But this statement doesn’t take you far in policy terms. Instead, you’d want to say that there are too many or too few words, before you decided what to do about it. In that sense, we have the most practical explanation of the unclear fact/ value distinction: the use of facts in policy is to underpin evaluations based on values. For example, we might point to the routine uses of data to argue that a public service is in ‘crisis’ or that there is a public health related epidemic. We might argue that people only talk about ‘policy problems’ they think we have a duty to solve them. Or, facts and values often seem the hardest to separate when we evaluate the success and failure of policy solutions, since the measures used for evaluation are as political as any other part of the policy process. The gathering and presentation of facts is inherently a political exercise, and our use of facts to encourage a policy response is inseparable from our beliefs about how they world should work. 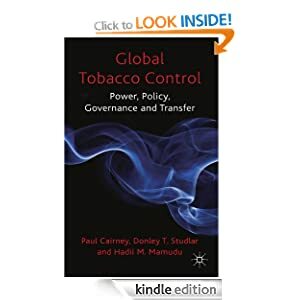 To think further about the relevance of this discussion, see this post on policy evaluation, this page on the use of evidence in policymaking, this book by Douglas, and this short commentary on ‘honest brokers’ by Jasanoff.